Buttery Greek crescent shaped cookies (Kourabiedes) to celebrate the return of Silvio. Place the almonds in a shallow pan with a tbsp of butter and cook until lightly browned. Stir constantly. 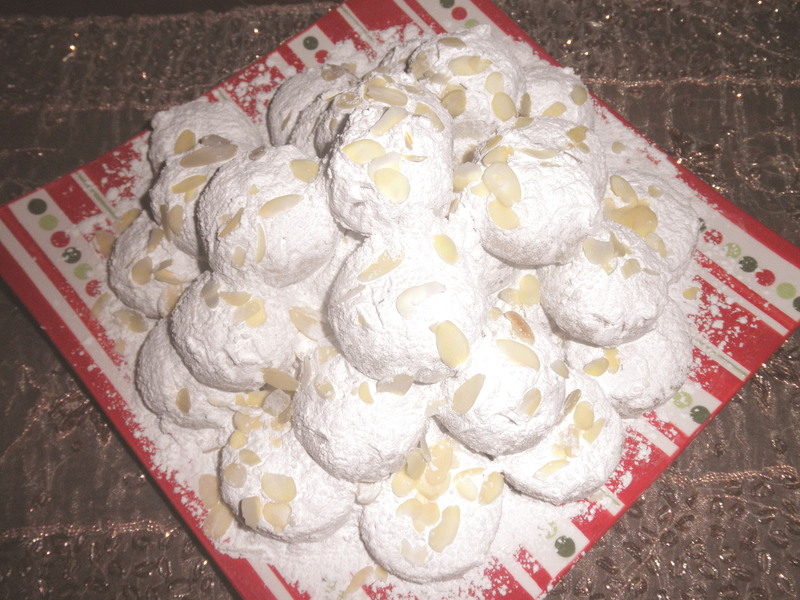 Cream butter with 1 cup of powdered sugar until it turns white and fluffy (it should take 5 to 7 minutes), add the rest of the ingredients, leaving the ground almonds last. When you come to adding the flour, do it slowly. You’ll need a large bowl and to knead by hand for a few minutes. The dough should be soft but crispy. Shape into little balls (the size of walnuts) or in a crescent shape and place 1 inch apart. Don’t be tempted into making them larger because, man, do they rise! Bake for 10-15 minutes until lightly browned. Let them cool for a few minutes before sifting generously the rest of the powdered sugar over them. A couple of recipes ago, I promised to refer to one of the most controversial European politicians and definitely Italy’s most colourful figure, Silvio Berlusconi, the moment he made a comeback. Hardly a few days went by and there he is, stating his intention to run again as his country’s leader. The election is expected to be held sometime between March and June (though Berlusconi is certainly capable of causing it sooner). This is right after (or before) the German elections (hint, hint!). 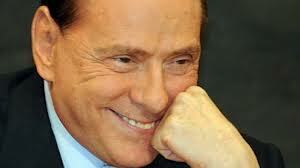 Mr Berlusconi said PM Mario Monti’s austerity policies had harmed Italy. Mr Monti announced he intended to resign, because the PDL had withdrawn its parliamentary support. If Berlusconi is re-elected then the European cards are reshuffled, this time putting Germany, the European Central Bank (ECB) and the Eurozone under immense pressure since he’s clearly opposed to the austerity measures imposed.